Aloe vera is known for its healing miracles from time immemorial. It has been effectively used for skin disorders, tuning the digestive system and improving the immunity of body. It is praised by ancient as well as modern medicinal systems. 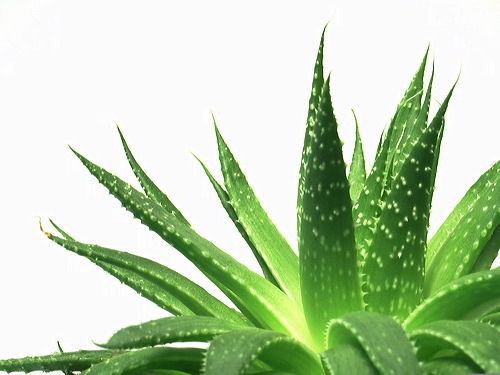 Most of the skin products are incomplete without the Aloe vera. It is known as Ghritkumari in Ayurveda, the ancient Indian medicinal system. It contains many nutrients like iron, manganese, zinc , calcium, copper, Folic Acid and Vitamin E (tocopherol) , C (ascorbic acid) and B1 (thiamine) , B2 (riboflavin), B3(niacin), B6 (pyridoxine), B12 (cyanocobalamin). Aloe vera is found to be very effective to fight with cancer due to abundance of antioxidants. It repairs the damaged tissues by regenerating cells. It is anti arthritic, anti inflammatory in nature. It is very useful for the patients of Arthritis. It is very effective detoxifier, antiseptic and antiviral. It is natural blood purifier, hence works wonderfully for skin diseases. It is natural moisturizer; it reduces the effects of sun rays. It boosts the healing process. Take Aloe vera juice daily; it will rejuvenate your body and you will get soft, smooth, healthy and glowing skin. It is a great tonic for female reproductive system. It is not recommended for pregnant woman. Aloe vera juice strengthens gums and teeth. Aloe vera juice is also beneficial for enhancing the immunity of the body. Aloe vera plant juice is very useful in respiratory problems like cough, cold, bronchitis etc. It helps to cure acne, rashes, skin cuts, bruises, dry skin. If you have constipation problem, drink aloe vera juice daily. It tones up your digestive system. Aloe vera is very useful in the treatment of diabetes. It reduces glucose level in the blood. Use Aloe vera gel for smooth, soft and healthy skin. Aloe vera gel is very useful for hair problems as well. Dandruff, Greying hair can be treated by applying Aloe vera gel regularly on your head and taking Aloe Vera juice on regular basis. Aloe vera is considered as a miraculous plant which can be used internally as well as externally. It is very adaptive in nature according to the body conditions. You can plant also Aloe vera in your house and use it for medicinal purposes.